For some, global cities have lost their luster. As we travel from New York City to Paris to Tokyo to Buenos Aires, some travelers have found that each city is, as the Taiwanese that I met liked to say, “same, same, but different.” In most urban centers you can find major corporations, like Starbucks or McDonald’s, that, for better or worse, ease the cultural transition. Yet, the traveler’s zeitgeist seems to be shifting. Although a city holds the convenience and quickness that certain travelers might want, those that crave a cultural clash seem to be drawn to the outskirts or even the middle of nowhere. I have come across more and more articles about this phenomenon, including this recent one in the San Francisco Chronicle. In it, Spud Hilton takes us to Guanajuato, a small city that is not well known, yet is only a little over a hundred miles from Mexico’s major cities, Guadalajara and Mexico City. He describes how it seemed to have been designed for wandering through its streets, past corner tables in small bistros where cervezas and tequila are rampant, and where five-member mariachi bands will congregate near you while you eat and smooth your soul (or was that the tequila?). 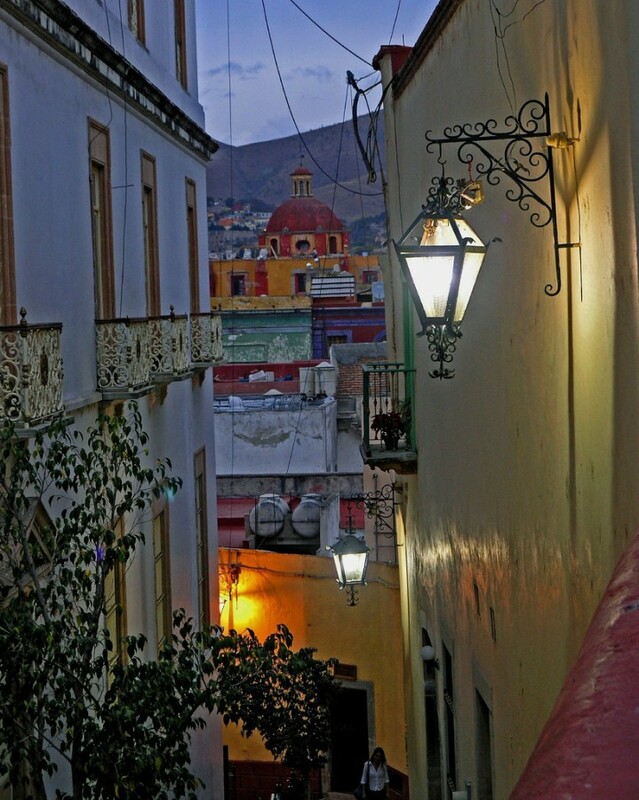 Guanajuato is also home to mummies, is Diego Riviera’s birthplace, and did I mention how it exudes a Spanish essence? Oh my. Reading about other people’s curiosity of remote places makes me wonder about this shift. It seems as though we want to see something different, something painfully and splendidly and authentically a world apart from our own culture. We are used to seeing cell phones and billboards and galleries hosting up-and-coming artists. But some travelers — especially those that travel the most — are fascinated about the places that are untouched by the modern Western hand. Those places offer a glimpse into a country’s story — either its recent or not-so-recent past. Some want to see something more real. But, how long will this last? With the porosity of borders, despite international efforts at controlling it, the world wide web of cultural practices and language are spinning stronger strings. With the media, we are able to connect to one another and share our cultural history and diversity. It makes me wonder what will happen next? whether travelers will dive into the depths of nature in an attempt to see how humans are as themselves? For me, the motives behind traveling just got more interesting.